Okay, so I looked at the pix of my trousers (from my post on these trousers of last month), and no they don’t look alright even with the inseam adjustment I made. I tried the pants on again. Nope. 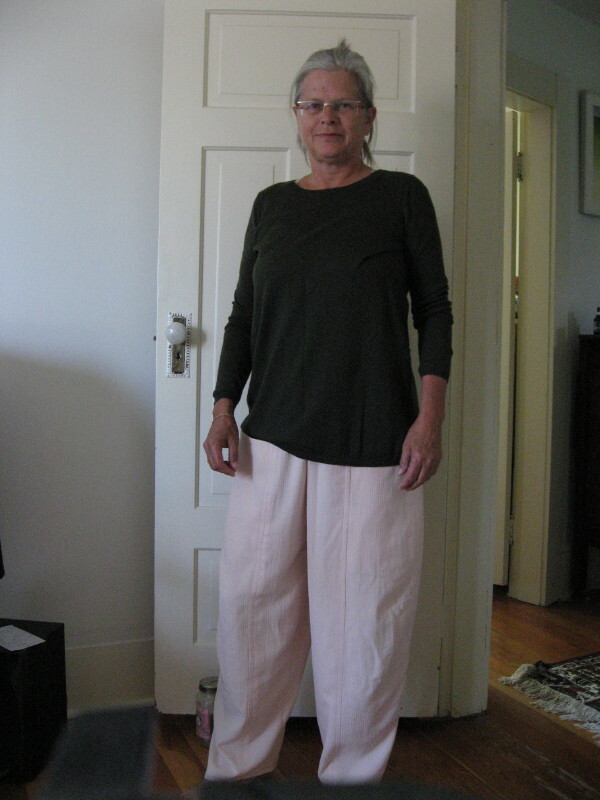 I like loose pants and loved this pattern for its looseness, but these pants just look oversize and I knew I would only wear them out of a feeling of obligation — I made ’em, I gotta wear ’em. So I took apart four more of the seams (there are 8), leaving only the side seams as is. This involved picking apart topstitching plus the actual seams! And I checked my notes about the size and adjustments I had started with. 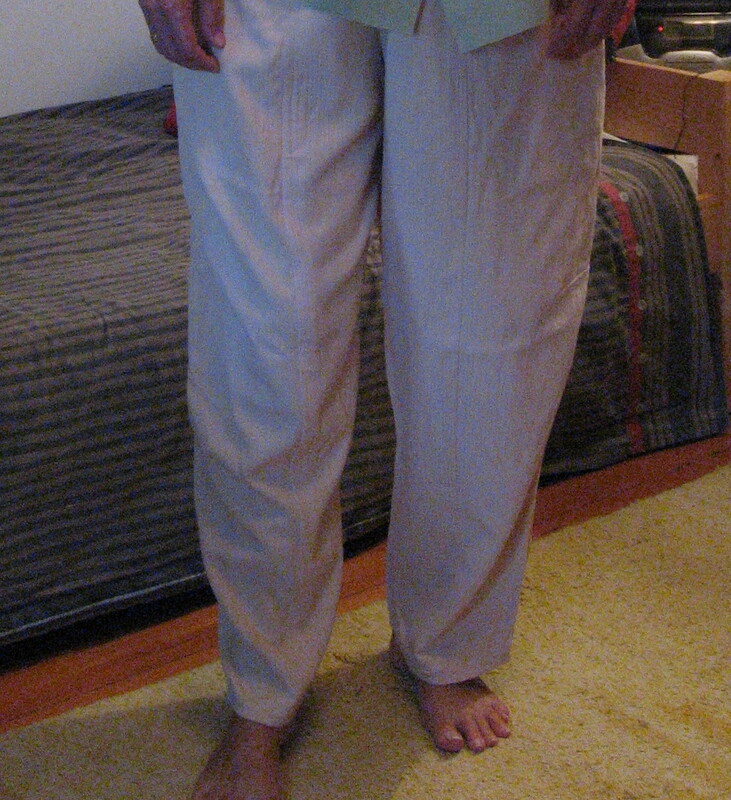 I had sewn the pants on the size 12 cutting line because all the measurements told me that’s what I should do even though, as the pants came together, my eye was telling me the pants were about double the size my pants normally look. When the numbers and the eye disagree, which do you go with?? I decided, pretty arbitrarily, to resew these four seams on the size 12 sewing line, which meant taking them in 5/8 inch for a total of 5 inches. And they fit! After shaving a whole 5 inches off! The problem now is that the dye keeps running. I’ve washed the pants a few times and the colour has shifted from pinkish-peach to brownish-peach, with barely discernable streaks. Sigh. I wonder if this is why the large chunk of fabric was in the thrift store for such a low price. I’m going to think about dying these pants now. Or killing them!